The EMD SD38 series included the original SD38 model and later variants including the SD38AC (bought by only a few lines), SD38-2, SDP38 (manufactured only for a foreign railroad), and the SD38M (again built only for a foreign railway). The models utilized General Motors' latest prime mover at the time, the model 645, but overall proved to be relatively unsuccessful. Between the SD38 and its variants, including those built for foreign systems, just a little more than 200 examples were manufactured. However, they were ruggedly built locomotives meant for use in heavy-haul, drag service and many units remain in regular freight service for years. None are currently known to be preserved with a museum or in operation on an excursion train. However, several remain in operation with both large and small railroads, from Class Is to shortlines. The EMD SD38 began production in the spring of 1967, the first six-axle model to feature GM's 16-cylinder model 645E3 prime mover. 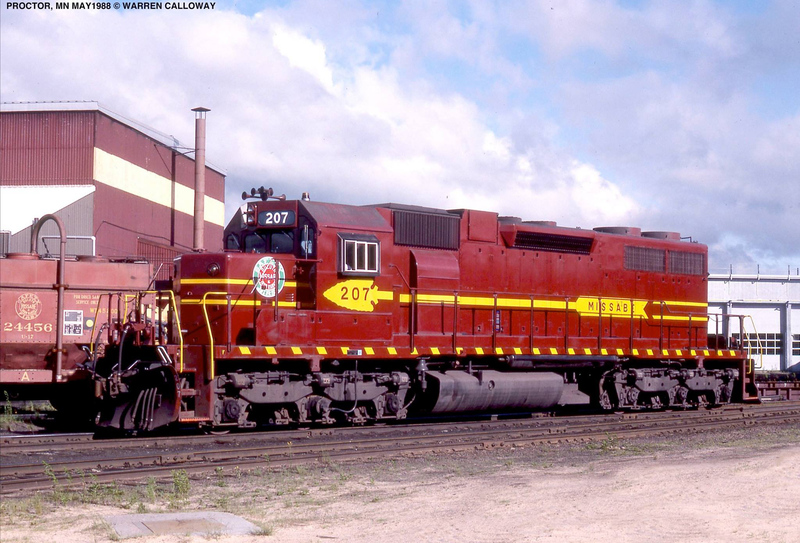 A somewhat lightly powered C-C design, the SD38 was rated at only 2,000 horsepower but could produce a continuous tractive effort rating of over 82,000 pounds (and 90,000 starting) using GM's D77 traction motors. This made the locomotive ideal for heavy drag service, particularly in the movement of commodities such as coal and ore. As such, many buyers of the locomotive moved this type of freight like the Bessemer & Lake Erie, Penn Central, Southern Pacific, Chicago & Illinois Midland, Southern Pacific, and others (lines like the B&LE purchased nearly every variant of the model). The SD38 was built through the fall of 1971 with only seven railroads purchasing the model, mostly smaller lines or industrial operations (the Penn Central bought the most, 35, numbered 6925-6959). 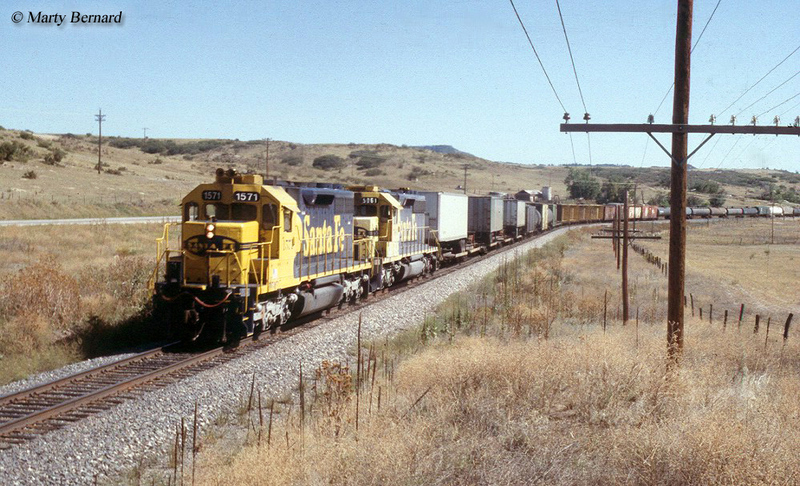 Ultimately, only 53 SD38s were sold to US railroads. Other lines to purchase the original SD38 included the B&LE (3, numbered 861-863), Detroit, Toledo & Ironton (five, numbered 250-254), Elgin, Joliet & Eastern (6, numbered 650-655), Kaiser Bauxite (4, numbered 5101-5104), and McCloud River Railroad (3, numbered 36-38). Also, Orinoco Mining of Venezuela bought 7, numbered 1021–1027. However, in 1972 EMD released a variant, the SD38-2 which mostly included upgraded components and the latest computer systems to make the locomotive more efficient (known as the "Dash 2" line the builder cataloged several models in the series the most popular of which was the SD40-2). 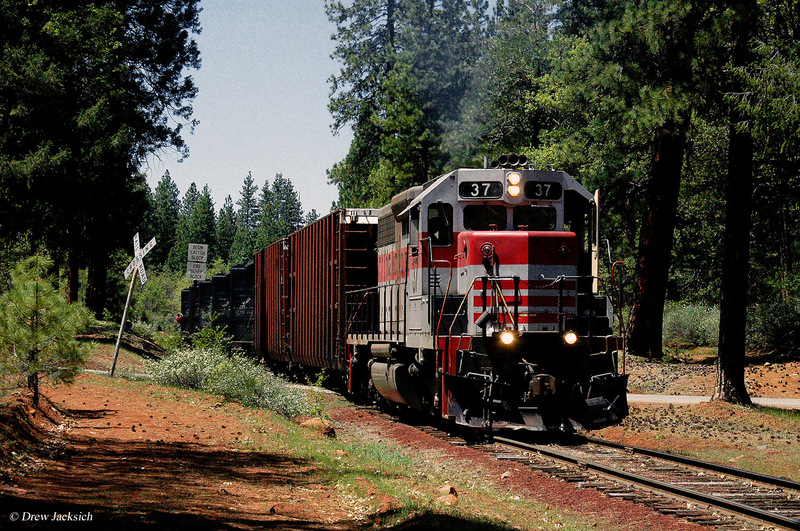 The model looked almost identical to the SD40-2 with its long front and aft "porches" which gave the locomotive a length of over 68-feet, three feet longer than the SD38. It sold a bit better with 81 purchased by US railroads and industries including; BC Hydro (3, numbered 382-384), B&LE (13, numbered 870-879, 890-892), C&IM (6, numbered 70-75), Chicago & North Western (10, numbered 6650-6659), Missabe (5, numbered 209-213), EJ&E (13, numbered 656-668), Louisville & Nashville (5, numbered 4500-4504), McCloud #39, Northern Alberta Railway (4, numbered 401-404), Reserve Mining (9, numbered 1237-1245), Frisco (4, numbered 296-299), SP (6, numbered 2971-2976), U.S. Steel #1, Yankeetown Dock (3, numbered 20-22). Additionally, another seven sold to foreign operations including two to Jari Railway of Brazil and five to Orinoco Mining. Two other variants of the model was the SDP38 and SD38M. The former was sold to the Korean National Railways, which purchased 40 and the latter to the Brazil Federal Railways, which purchased 34. And finally, there was the SD38AC. This locomotive was all but identical to the original except for its AR10 alternator in replace of the standard General Motors model D32 generator allowing the locomotive to produce more tractive effort. Just 15 of these units were sold; six to the B&LE, eight to the Missabe, and one to BC Hydro. Today, you can still find SD38 and variants in operation on railroads such as the Reading & Northern, Norfolk Southern, B&LE/Canadian National, EJ&E/CN, Western Rail, Iowa Interstate, and CSX Transportation.